Lens: In a world full of lens options and decisions, it is usually hard to choose between the Model XYZ's and the 123 Series'. That is, until we introduced to you the I-Type Lens. This single, fully injected sheet of polycarbonate is a one-stop shop for all your needs when life gets the hole-shot on you and the rocks, dirt, and dust begin to fly toward your face. 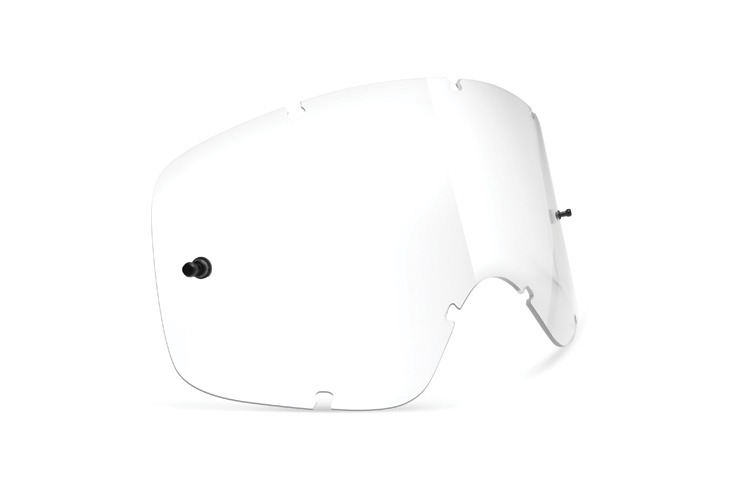 With modified grooves, these lenses offer maximum impact protection without the chance of falling out mid-roost. The 100% UV ray protection and enhanced optical clarity make the I-Type lens the last choice you may ever have to make. Good for all lighting conditions.